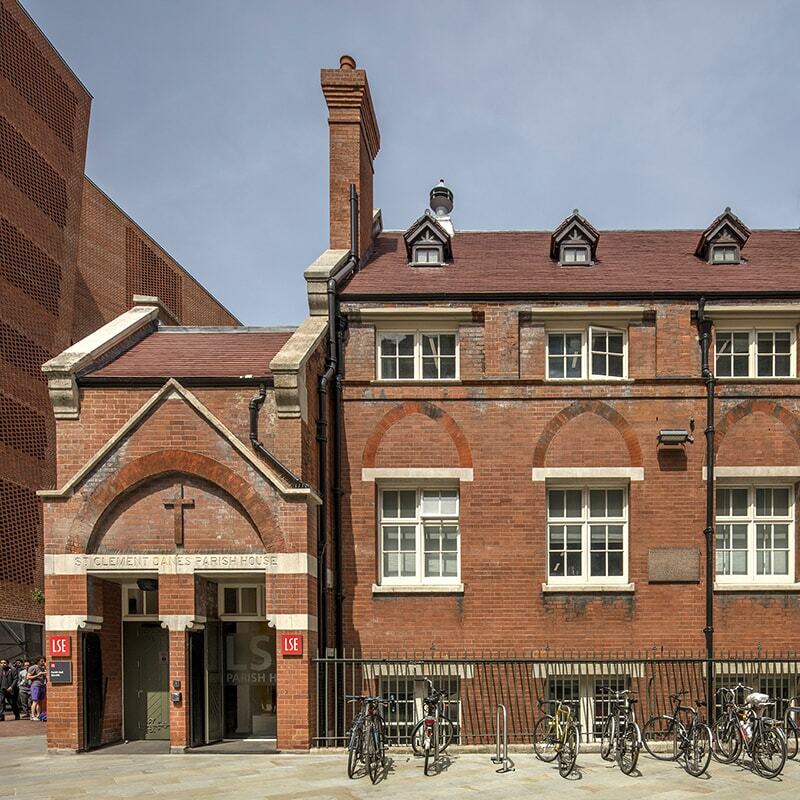 Built in 1897 as St Clement Dane’s Church Vestry Hall and purchased by the LSE in 1961, the Parish Hall was for some fifty years a tired and under used building at the very centre of the LSE’s campus in central London. 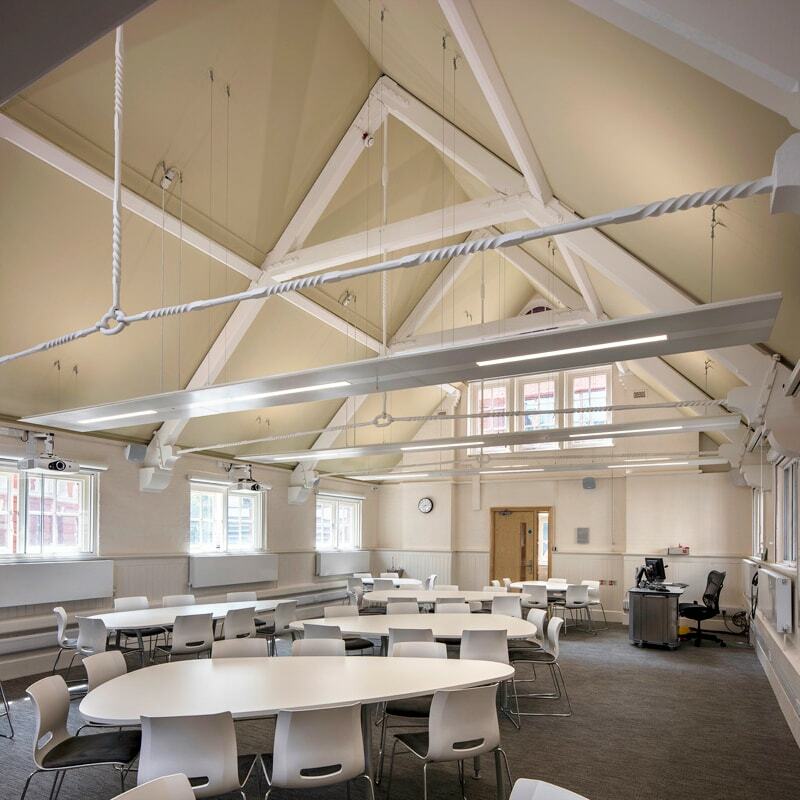 A sensitive conversion and refurbishment scheme was developed by LOM consultant Richard Molyneux, creating three generously sized teaching spaces with state-of-the-art facilities and bringing the building back to life as a key campus facility. The completed scheme involved limited, considered interventions and alterations, which reduced costs and enabled a challenging programme to be met.